When it comes to completely disconnecting from the stresses of everyday life, sometimes it’s worth the while to really go off-the-beaten-path. 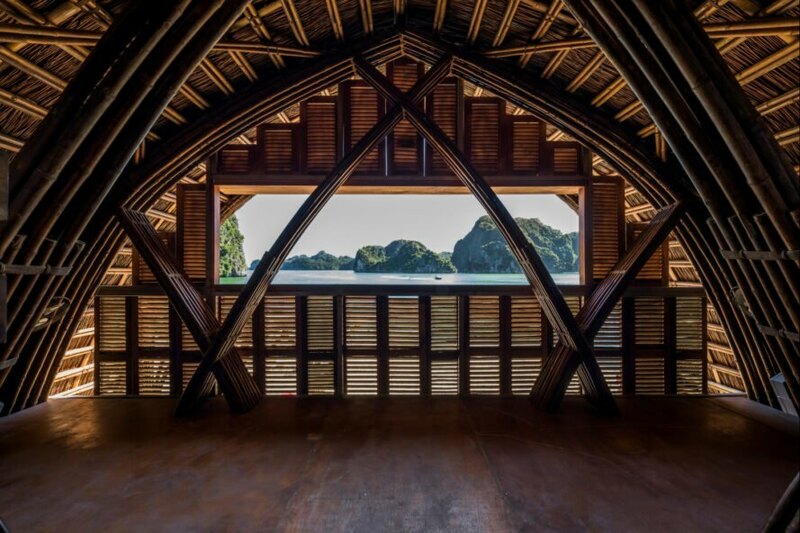 Thanks to Vietnamese architecture firm, VTN Architects, now you can find a little slice of serenity in a very remote area of Vietnam. 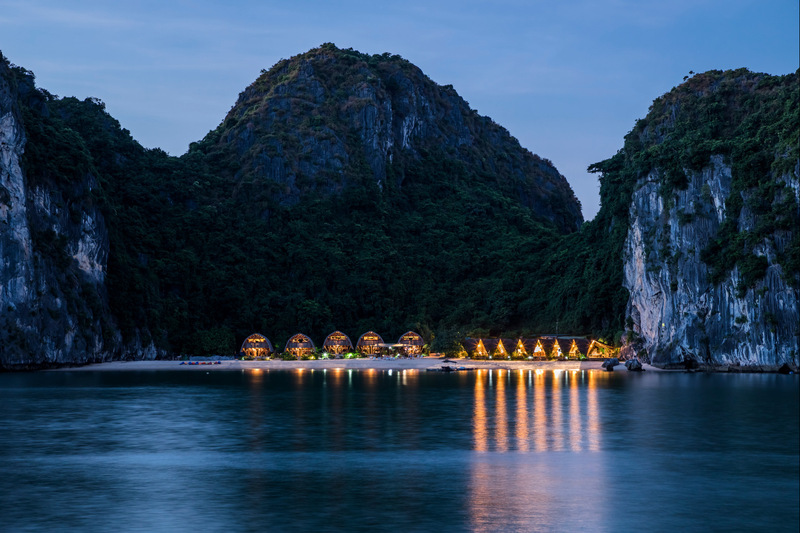 Located about 2 hours from the nearest port and only accessible by boat, the Castaway Island Resort is comprised of five bamboo guest huts, covered in thatched roofs and engulfed on one side by a verdant mountain range and on the other by a private white sand beach. 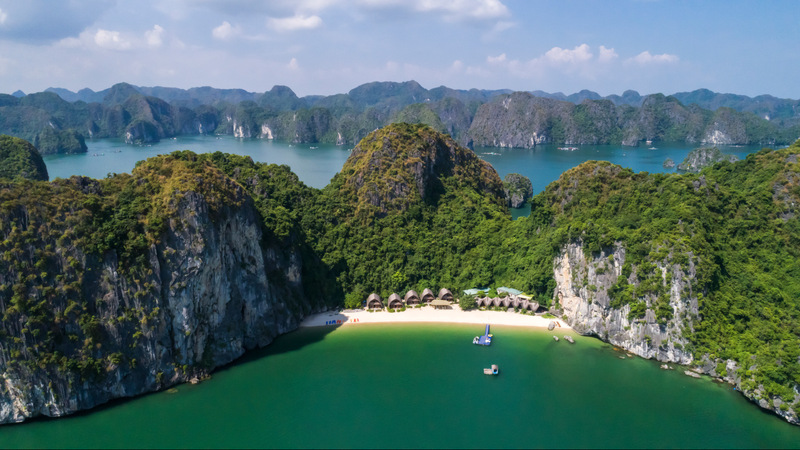 The Ho Chi Minh City-based firm designed the resort to offer the ultimate in lodging for those who want to reconnect with nature. Located on a tiny island that’s part of the Cat Ba Archipelago, the idyllic area is a well-known tourist destination. Tucked into a soaring mountain range on one side and a private beach on the other, guests at the eco-retreat can enjoy breathtaking views from anywhere inside the bamboo huts and outside the property. 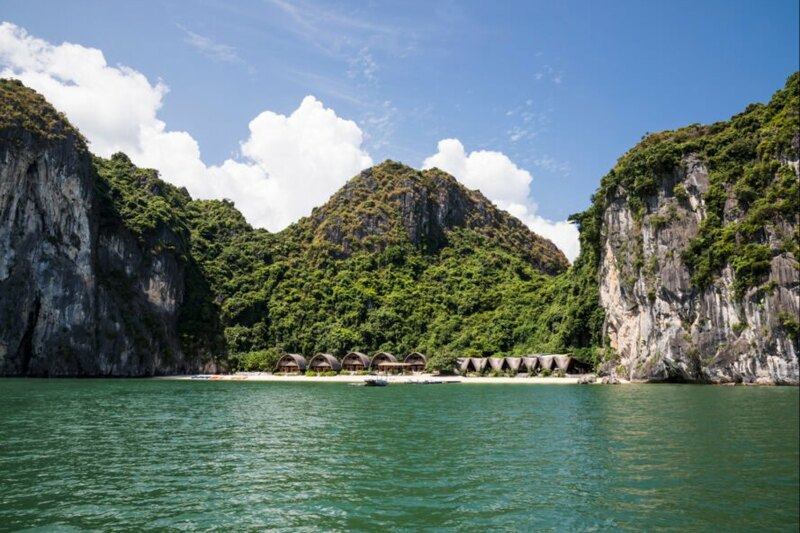 Related: Top 6 Must-See Summer Eco Resorts Around the World! 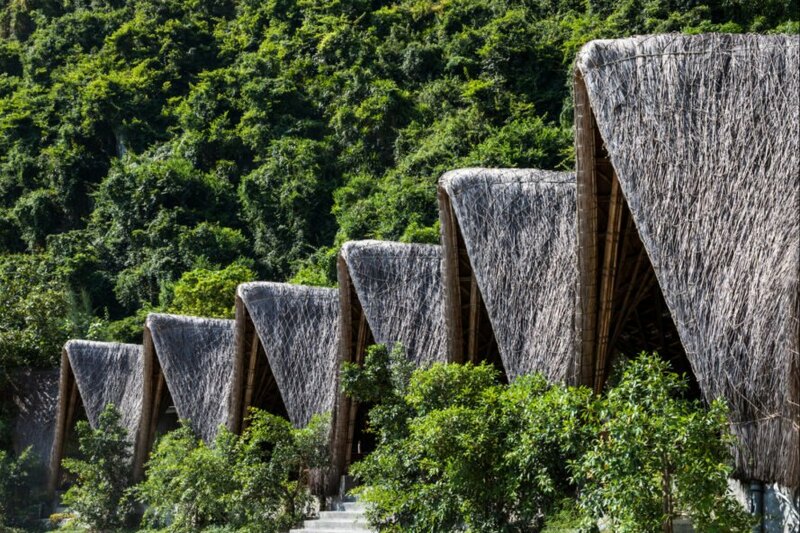 Using the natural landscape for inspiration, the architects used environment-friendly bamboo to craft the huts that make up the guests rooms, as well as the restaurant and multi-use pavilion. The huts were built using thin bamboo rods that were treated in a traditional Vietnamese technique that involves soaking the bamboo in mud first and then smoking it afterwards. Once properly treated, the bamboo frames were assembled by bamboo dowel nails and re-enforced by rope. 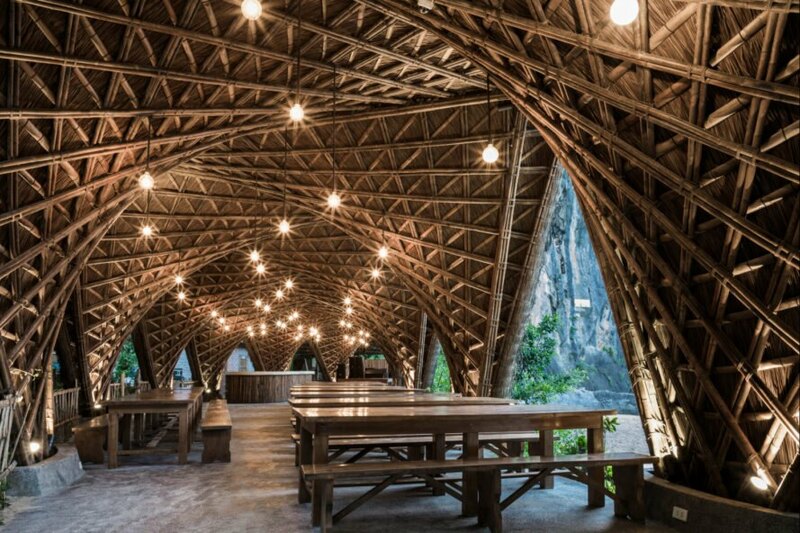 Covered with thatched roofs, the huts not only offer an authentic Vietnamese cultural experience, but also reduce the building’s impact on the existing landscape. 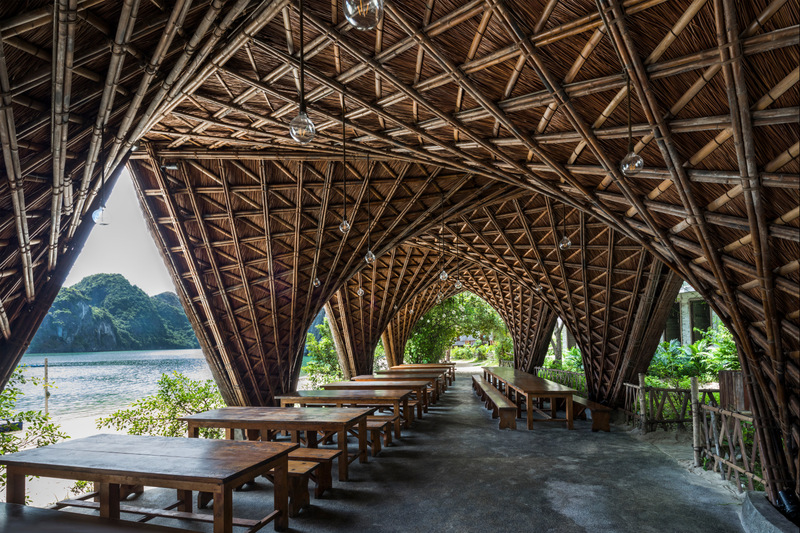 Using bamboo as the primary building material meant adding durability to the design, as well as the option to be easily removed without leaving a footprint on the beautiful landscape. Guests will enjoy staying in the spacious guest rooms, but can also enjoy spending time in the restaurant and onsite pavilion. 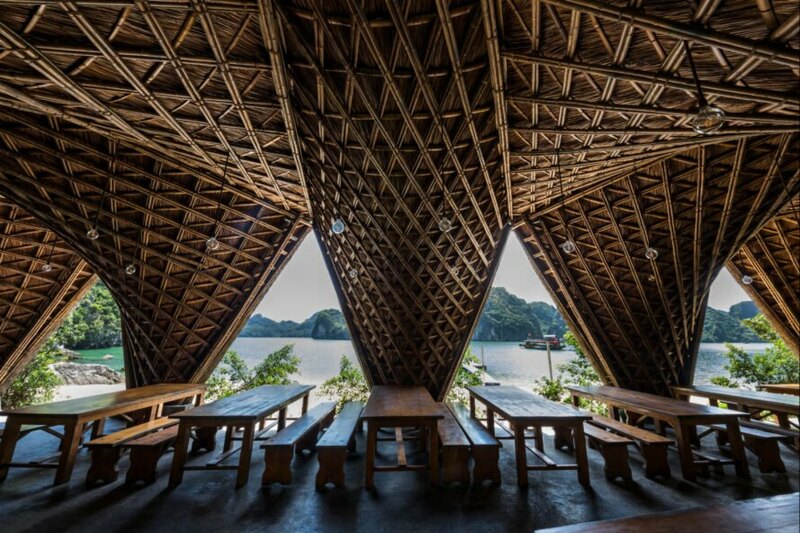 Built in the same style as the bamboo huts, the restaurant is built in a hyperbolic-parabolic shell volume. This shape allows the communal area to be covered, but open on all sides so that guests can take in unobstructed views while they enjoy local fare served by the restaurant. VTN Architects used the local nature as inspiration for the Castaway Island Resort. 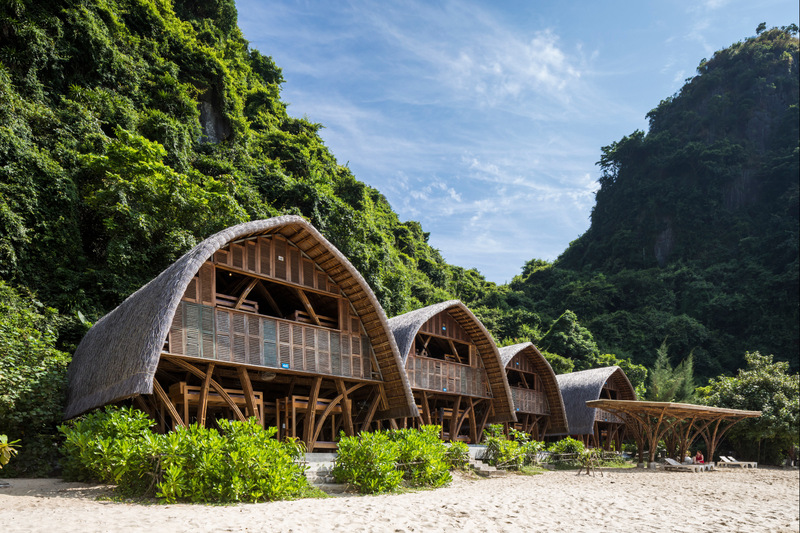 Located about 2 hours from the nearest port and only accessible by boat, the resort is comprised of five arched bamboo guest huts. 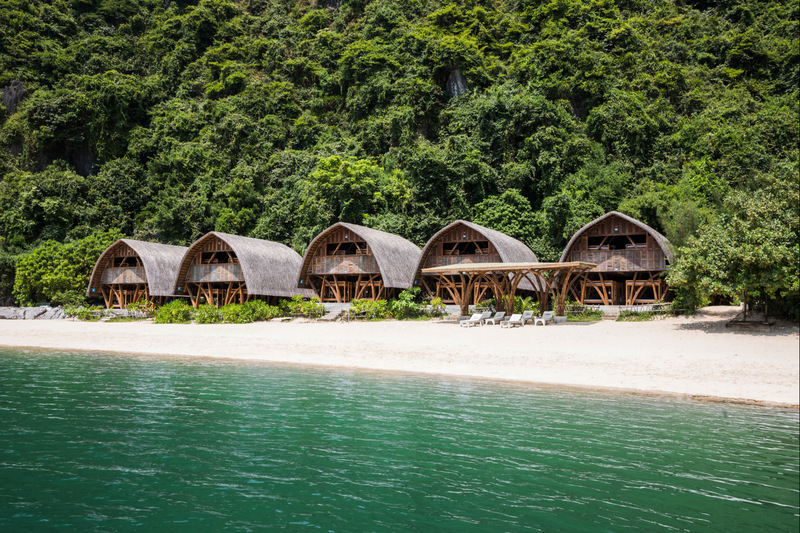 The huts are tucked into between a lush mountain range on one side and a private beach on the other. The bamboo guest huts are covered in thatched roofs. The design was carefully crafted to blend into the stunning natural landscape. The resort includes 5 guest huts with an onsite restaurant and pavilion. The restaurant features a hyperbolic-parabolic shell, which is open on the sides. Guests can enjoy the private beach, which is only accessible by boat. The Castaway Island Resort was designed as a haven for those wanting to reconnect with nature. The dining area was designed to provide guests with stunning views of the surroundings. The guest rooms will feature natural furnishings found locally.